Min H. Kim (김민혁) is a KAIST Endowed Chair Professor of Computer Science at KAIST, Korea, leading the Visual Computing Laboratory (VCLAB). Before coming to KAIST, he had been a postdoctoral researcher at Yale University, working on hyperspectral 3D imaging (advisor: Prof. Holly Rushmeier) in collaboration with Prof. Julie Dorsey. He received his Ph.D. in computer science from University College London (UCL) in 2010, with a focus on HDR color reproduction for high-fidelity computer graphics (advisor: Dr. Jan Kautz). 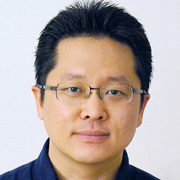 In addition to serving on international program committees, e.g., ACM SIGGRAPH Asia, Eurographics (EG), Pacific Graphics (PG), and ICCV, he has worked as an associate editor of ACM Transactions on Graphics (TOG), ACM Transactions on Applied Perception (TAP), and Elsevier Computers and Graphics (CAG). His recent research interests include a wide variety of computational imaging systems and algorithms in the field of computational photography, hyperspectral imaging, BRDF acquisition, 3D imaging, and computer graphics. In the past, he has worked on color reproduction algorithms and systems, targeting for digital cameras and displays, based on visual color perception. His full CV is [here].